This glycerin soap bar is in the shape of an oval. 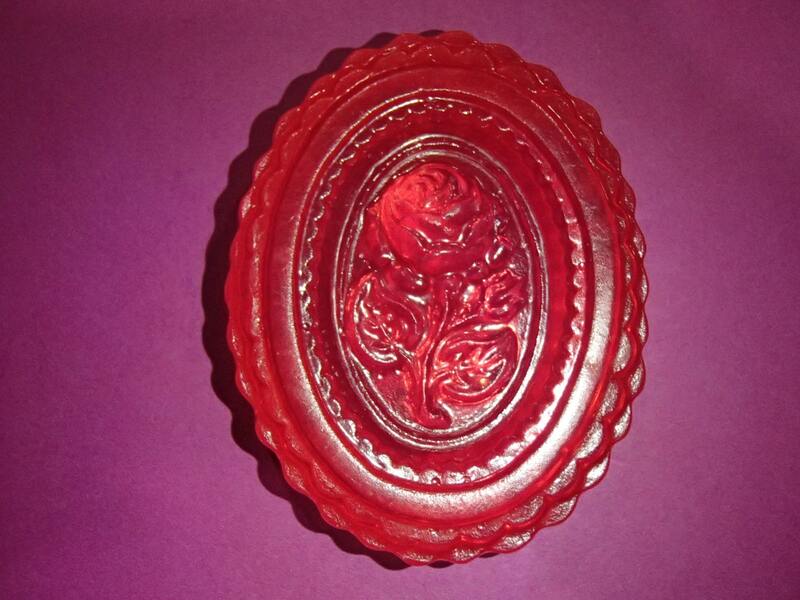 It has an ornate rose design. It weighs ~2 ounces. It measures ~3 inches by 2.5 inches and is 0.75 inches thick. It is colored pink and scented Rose. This soap is great for use in your own bathroom or a guest bathroom. It also makes a great present for any women, especially gardeners. Give something different than a dozen roses to that special someone.